- Drawn from ancient legends and age-old myths, the dragon is a fearsome enemy, but a treasured protector, if you can attract one's favor. Our dragon pendant measures 2 1/8" tall, and hangs from a 33" black cord. Made of bronze. 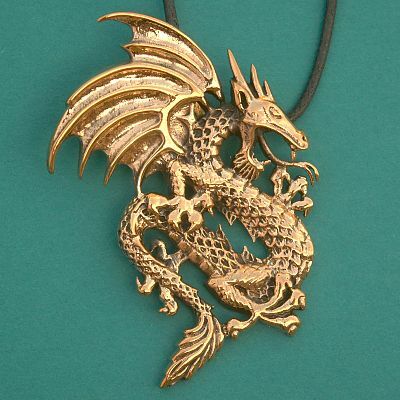 Do you have any other questions about our Bronze Dragon Pendant?